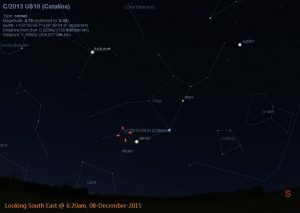 The comet is currently in the constellation of Camelopardalis at a magnitude of 8.5 and slowly fading. 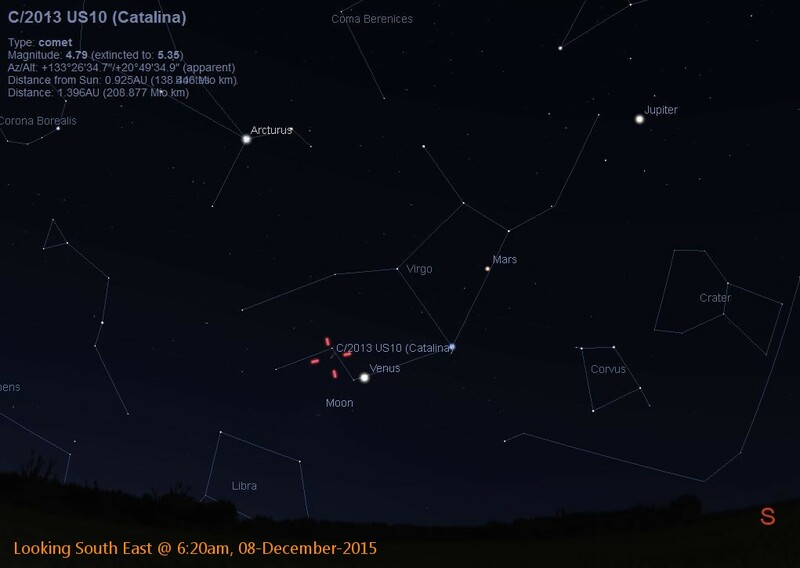 The comet remains circumpolar making it visible all night after sunset in the Northern sky. 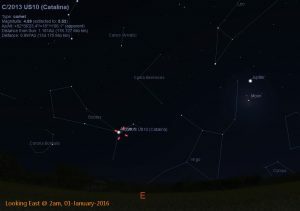 The comet is now getting more diffuse making it difficult to observe in poor sky conditions. 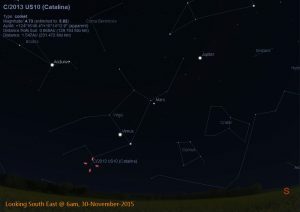 Comet Catalina was discovered on 31 October 2013 by the Catalina Sky Survey with their 0.68 meter Schmidt-Cassegrain telescope. It’s thought to have an orbital period of several million years. 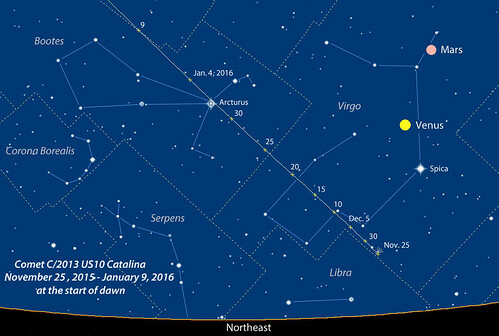 The comet reached perihelion on 15 November 2015 at a distance of 0.82 AU. 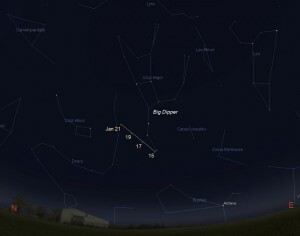 Through July and August the comet was circumpolar in the Southern hemisphere reaching around magnitude 7. 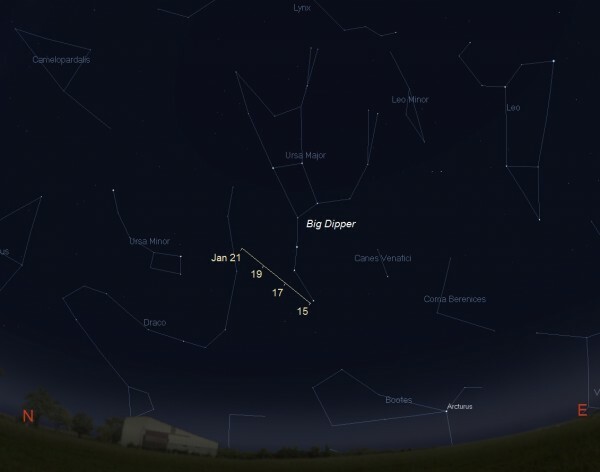 Through September it reached magnitude 6.5, just shy of naked eye visibility. 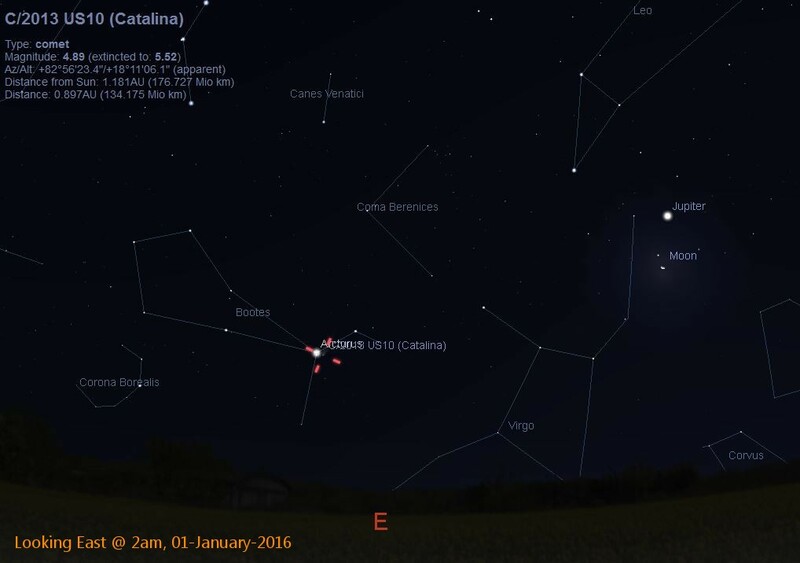 Comet Catalina and Arcturus are less than a degree apart on 01st January 2016! 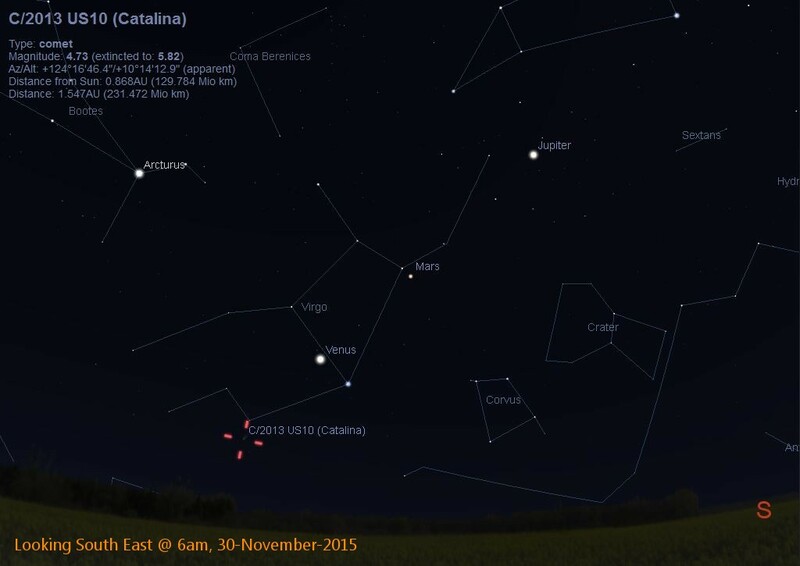 As you can see from these charts, the comet isn’t visible in the Northern hemisphere until the end of November. 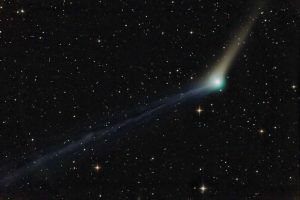 At this time the Comet will reside in the morning twilight glow before sunrise. It’s expected to stay between visual magnitude 4-5.